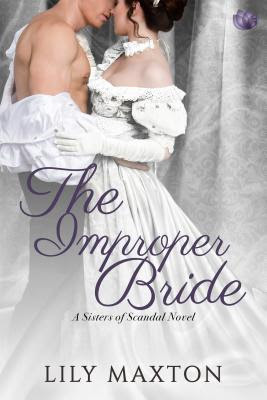 This is book 5 in the Sisters of Scandal series. Henry Eldridge, Marquess of Riverton, barely survives a fire in his home. During his recovery, his doctor asks his staff to find something to to occupy his time so he doesn't end up brooding all the time. Cassandra, Henry's housekeeper, steps up and volunteers. She has always wanted to learn German and what better way to help herself and the Marquess at the same time. But as Cassandra spends more and more time with her employer, the attraction she feels for him grows out of control. As Henry starts to heal, he realizes that time is getting away from him and he must find a bride. He organizes a house party and has his sister invite eligible prospects. But he soon realizes that he would much rather be spending time with his housekeeper than his guests. Can these two, from two different world, make it work? I did however still enjoy this story. While convalescing, Henry did really start to become a better person. Cassandra made him realize what a total @$$ he was with people, including the servants. We see him start to care about others besides himself and being a better man. I also like that this story was unconventional. We have a peer of the realm that falls for his housekeeper. I always enjoy the stories when the H/H are of different classes as it forces them to work harder to get to their HEA. I'm really hoping that Maxton continues this series as I have throughly enjoyed it! I can't wait to see what she comes up with next!